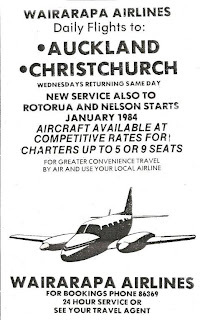 Since the Pike River mine disaster Air New Zealand has been offering $90 fares between Hokitika and Christchurch, $120 between Hokitika and Wellington, $150 between Hokitika and Auckland as well as offering numerous additional services enabling people to get to and from the memorial service. What a fantastic effort which no one seems to have picked up on! Emergency services were called to Wellington airport this afternoon after smoke was smelt in the cockpit of a plane which had just taken off. 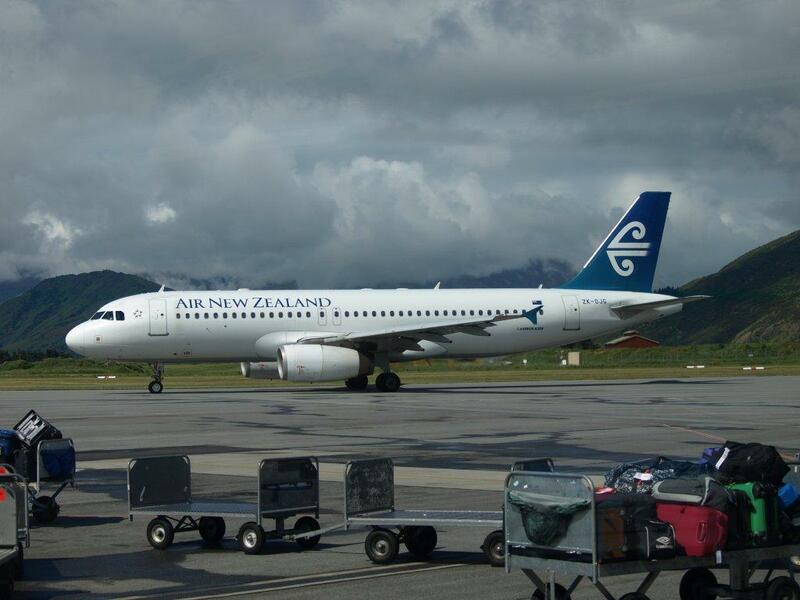 The pilot on Air New Zealand flight NZ5043 from Wellington to Dunedin reported a smell of smoke in the cockpit shortly after taking off. 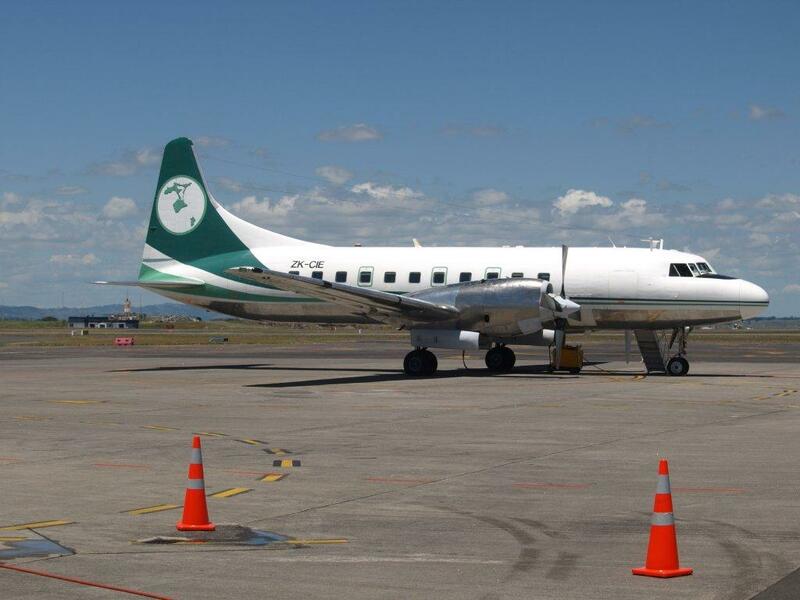 The 66-seat ATR twin-propeller plane, carrying 59 passengers, returned to Wellington airport, which was put on alert. 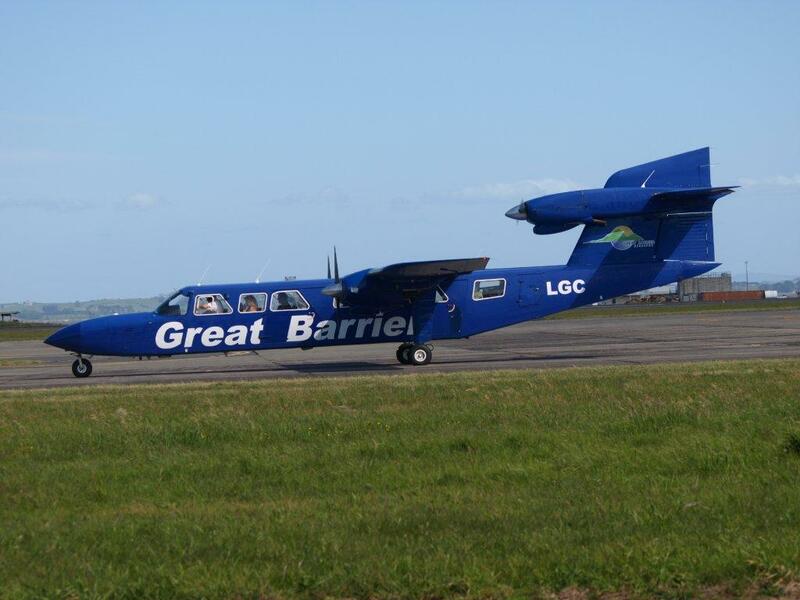 Nine fire engines were called to the airport during the incident and ambulance staff assessed three passengers. 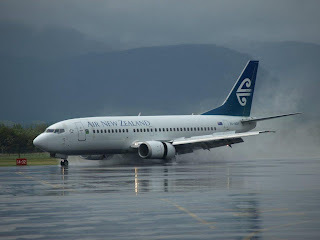 Air New Zealand spokeswoman Tracy Mills said the aircraft is operated by Mount Cook Airline, which is wholly owned by Air New Zealand. Engineers will check the aircraft and passengers will be transferred onto the next available service. 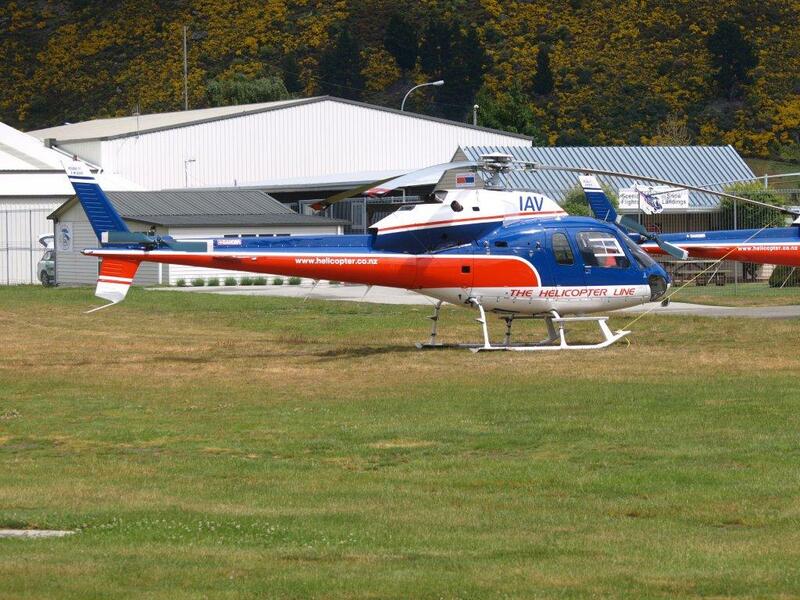 This is the second post of the many the operators that have operated through Wairoa. So why fly a service to Wairoa? 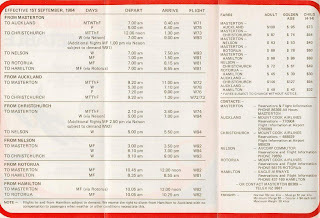 For most of the operators that have operated through Wairoa have served it primarily for the cartage of freight, especially the Dominion newspaper contract, or courier items. 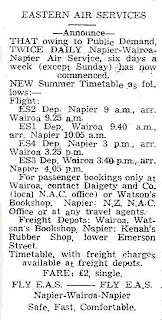 For later operators this has made my research very difficult as there was often nothing I could find in the Wairoa Star to indicate the beginning or end of the courier services. 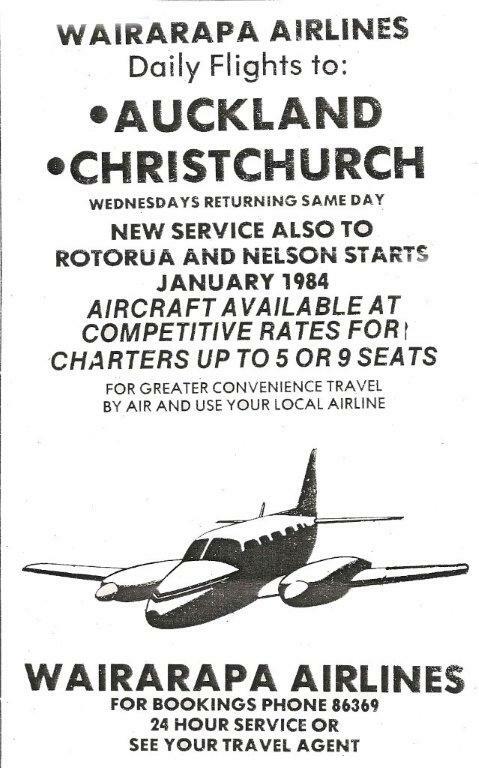 Eastern Air Services is different in that it looked primarily to the provision of a passenger service to Wairoa. 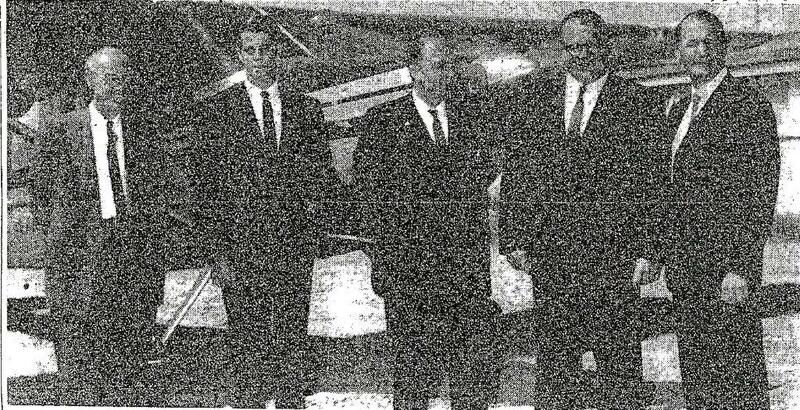 On the 31st of January 1963 Eastern Air Services, the commercial wing of the Napier Aero Club, inaugurated a new passenger and freight service between Napier and Wairoa. 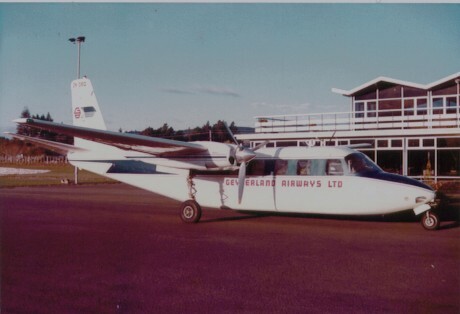 According to the Wairoa Star the move which prompted the introduction of the service was that aero clubs had been subsidised by the Government in the training of pilots, but this had ceased in March 1962. 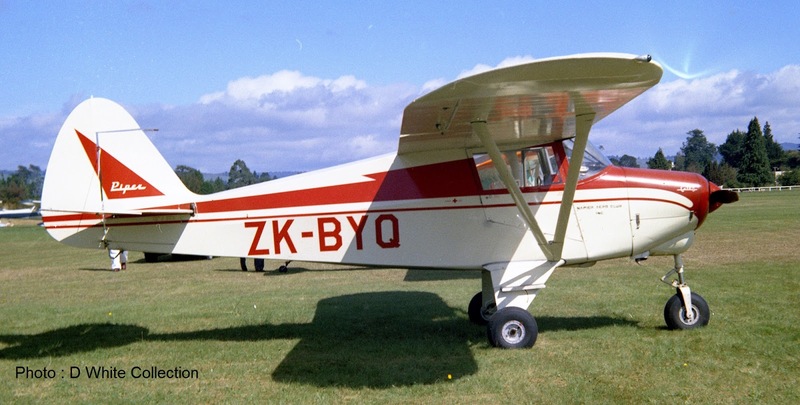 Another reason cited elsewhere was that the aero club wanted greater use made of its Cessna 170 aircraft, which was an economic burden on the club. 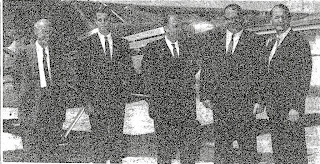 This aircraft was the air ambulance for the region and the club decided to investigate the need for an air service between Napier and Wairoa and, “after consideration, it was decided to go ahead with the venture in the hope that the service would subsidise the club’s cost to the extent of about 50 per cent” Mr R Kenah, the president of the Napier Aero Club, told the Wairoa Star. The chief pilot, Jim Tait said the extension of the service to Gisborne was a natural and a must. “People should be enabled to continue their business in Napier, Wairoa and Gisborne in the one day,” he said. 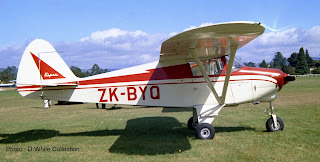 The backup aircraft, the Napier Aero Club Piper Colt, ZK-BYQ. Record passenger numbers do not mean New Plymouth airport terminal is likely to be extended anytime soon, says New Plymouth Mayor Harry Duynhoven. 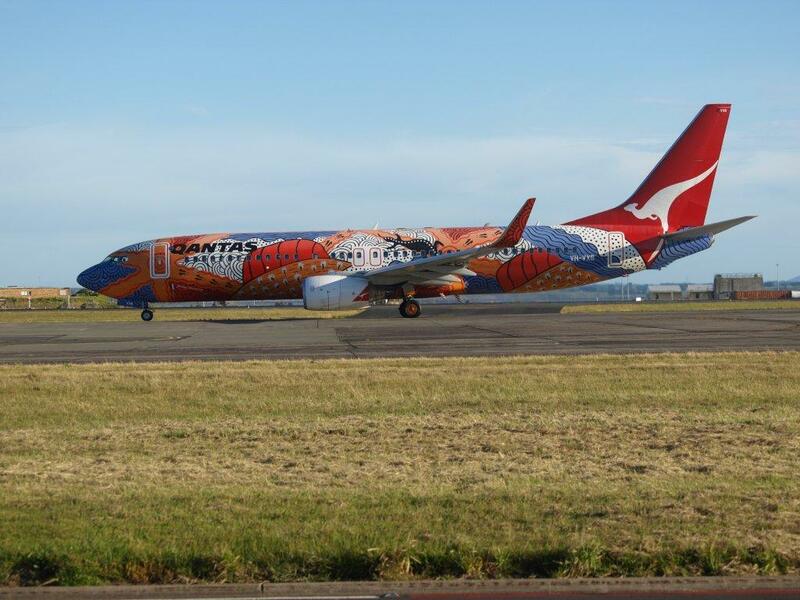 Last month 27,736 passengers arrived or departed from the airport, the highest ever in one month. 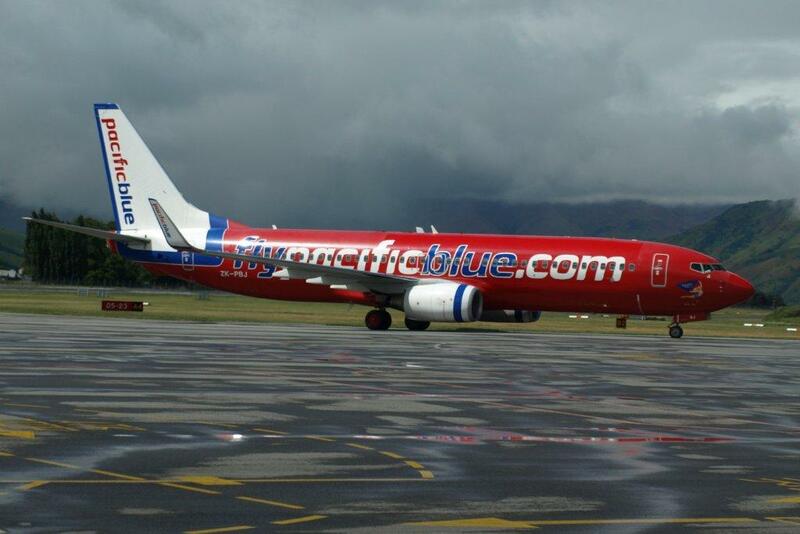 This came hard on the heels of a record July to September quarter when 78,408 people began or ended their journey at New Plymouth's airport. With December traditionally a busy month the facility is on track to reach 300,000 passengers, the number used in the past as a trigger point for increasing the size of the terminal building. 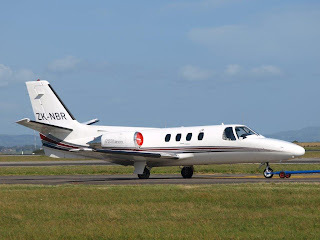 The ExecuJet Aviation Group has been issued with a New Zealand Air Operator’s Certificate (AOC) from the New Zealand Civil Aviation Authority, paving the way for the company to commence base aircraft operations in the country. The first to be managed in the region is a Gulfstream G550, privately owned, which will be available for third party charter effective immediately. “We are really delighted to add the New Zealand AOC to our business,” said Darren McGoldrick, Managing Director ExecuJet Australasia. 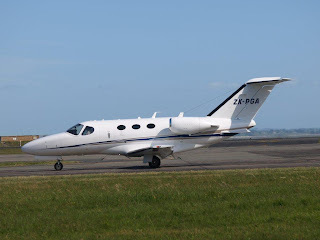 “This region is an especially buoyant one with a high proportion of ultra high net worth individuals who recognise the time-saving benefits and ease of aircraft charter. 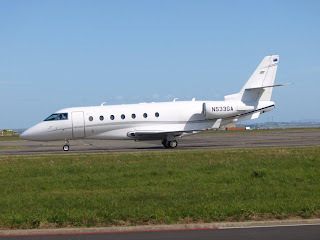 We look forward to introducing our international experience in aircraft sourcing, maintenance, charter services and technical assistance into the New Zealand market.” ExecuJet holds an Australian AOC and sees the addition of a New Zealand AOC as an ideal complement as business aviation steadily expands in the region. New Zealand becomes the eighth country in which ExecuJet now holds an AOC, awarded under Part 119 in accordance with Civil Aviation Rule 125. In addition to the AOC, ExecuJet Australia has been awarded Part 145 approval by NZCAA to carry out maintenance on the G550 aircraft. 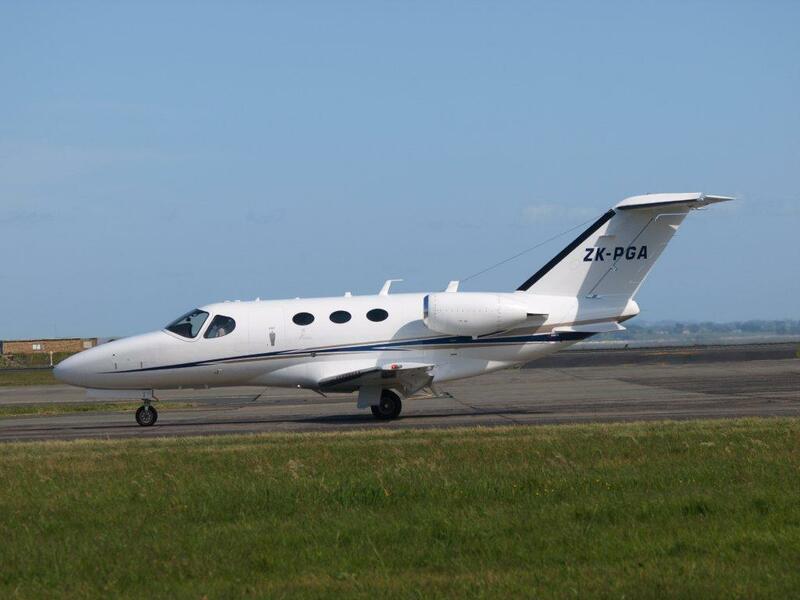 With an initial staff of one engineer and three crew (for the G550) the intention is to expand the team at its Wellington Airport base in due course. ExecuJet looks after a managed fleet of 150 aircraft around the world and is one of the most recognised and established names in the international business aviation industry. 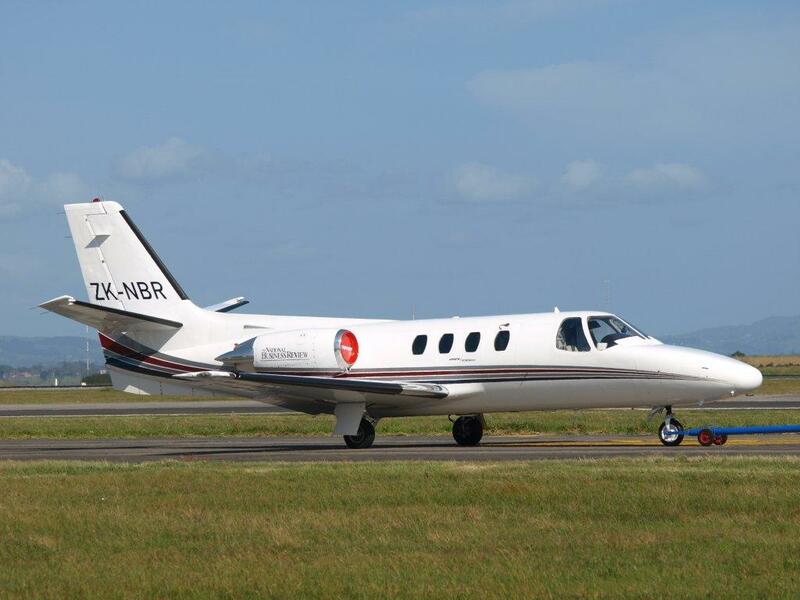 The New Zealand operation will operate under the management of ExecuJet Australasia. 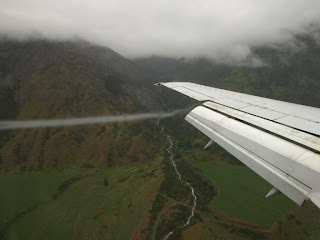 The instrument approach down the Kawerau Gorge from ZK-NGD... have flown on all the 737 fleet now! 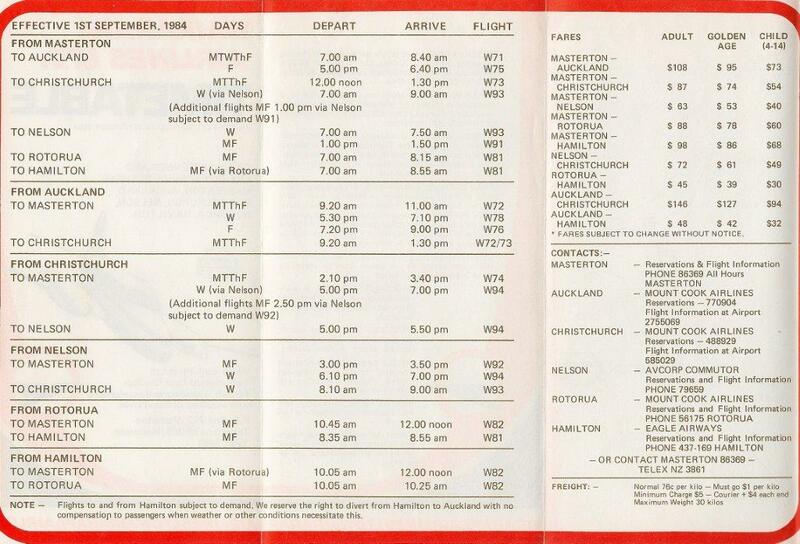 ATR flights and a Jetstar flight were diverting meaning a long bus ride to Christchurch for many people. 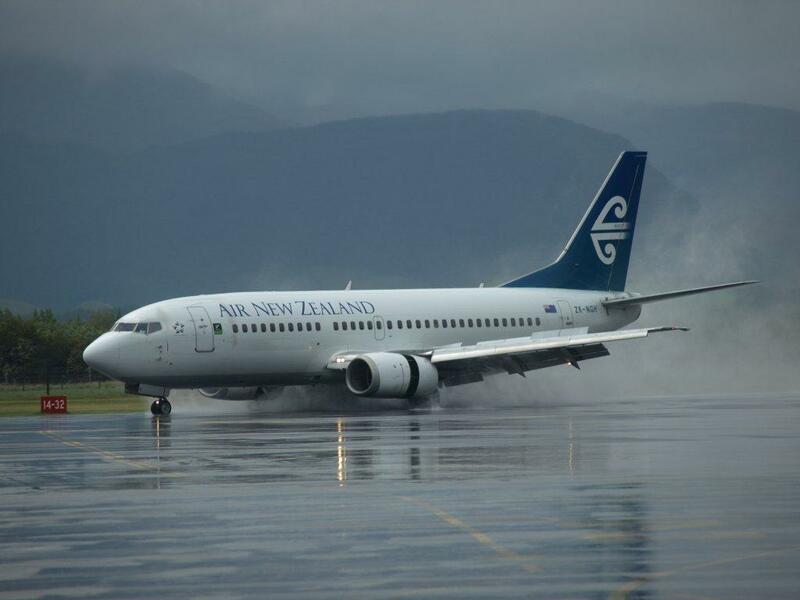 The wet runway made some great photos - albeit through the terminal windows... Air New Zealand's ZK-NGH arrives from Auckland. 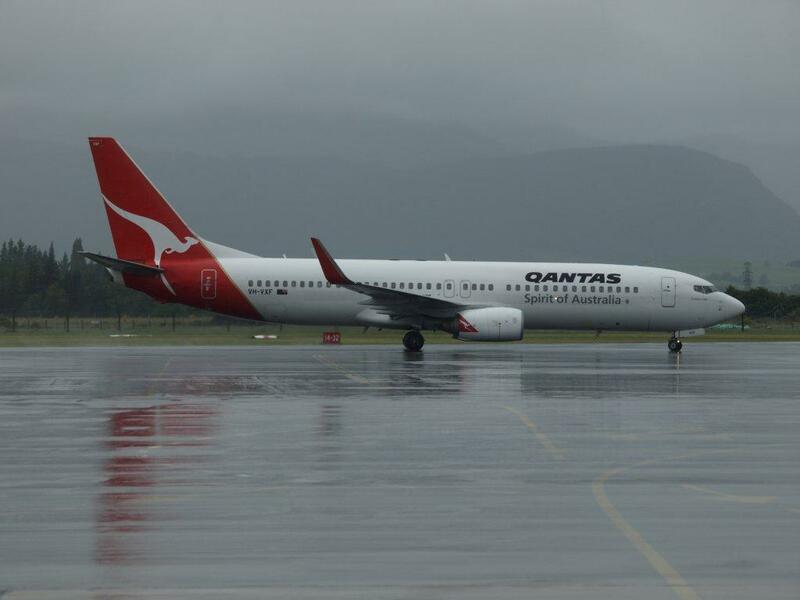 ...and Qantas' Boeing 737-800 VH-VXF arrives from Sydney. Departing for Sydney Air New Zealand's Airbus 320 ZK-OJG - you would think they could move the trollies! 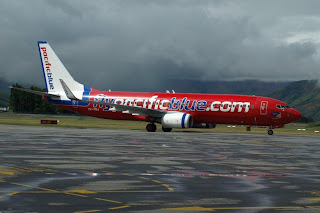 ...while Pacific Blue's Boeing 737-800 ZK-PBJ arrives from Sydney. 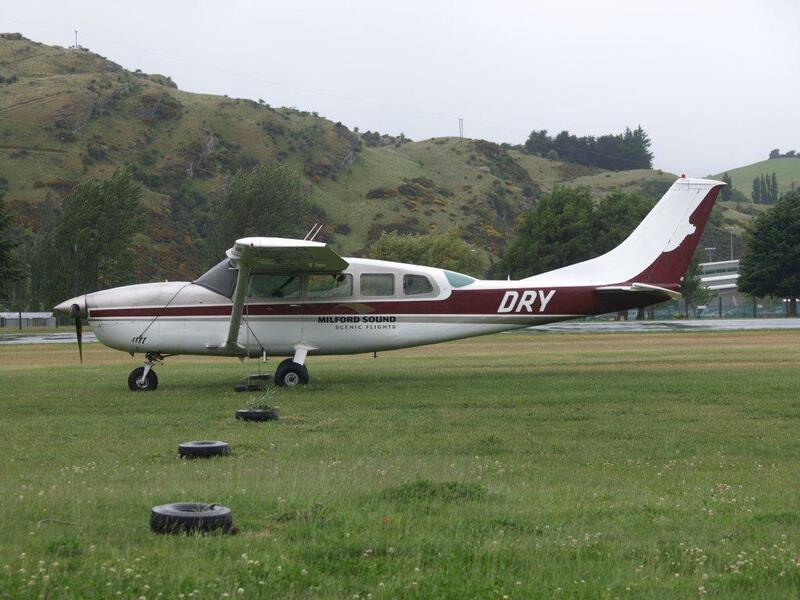 Meanwhile Milford Sound Scenic Flights' Cessna 207 ZK-anything but -DRY stayed put all day. while their Airvan ZK-LOR taxied out to much clearing weather. 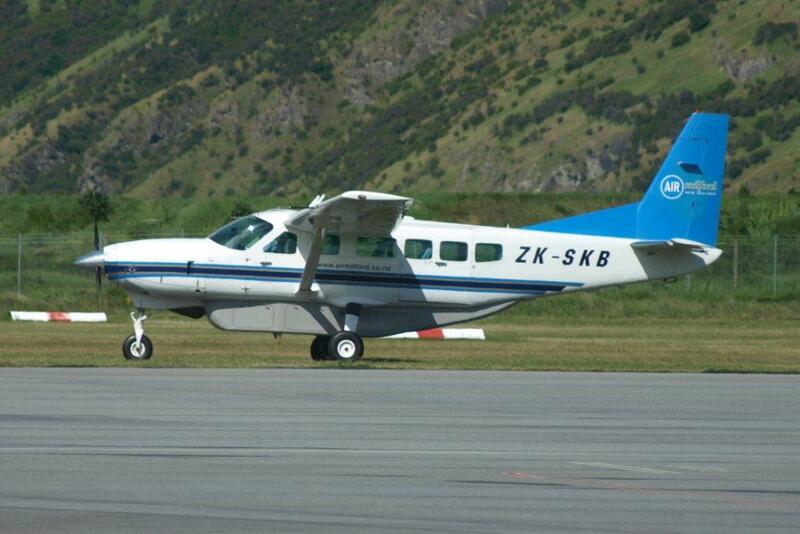 and this was later followed by their Cessna 208 Caravan ZK-SKB. and the Helicopter Line's ZK-IAV. I've only got four airports to fly into now... Kerikeri, Wanaka, Whakatane and Gisborne though the latter two I have flown into! 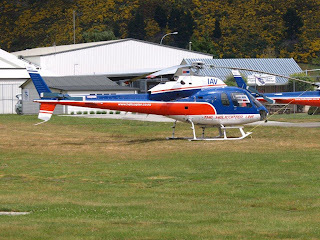 Vincent Aviation's Saab SF340B, VH-UYN, that arrived on the 18th of October was placed on the New Zealand register as ZK-VAA (c/n 340B-301) on the 15th of November 2010. 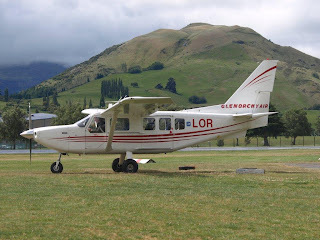 In December 2001, Guy Hingston, a specialist at Masterton Hospital, announced the establishment of a new airline, Air Wairarapa. The company planned to start with flights from Masterton to Auckland on Fridays and Sundays for people wanting "weekend getaways." 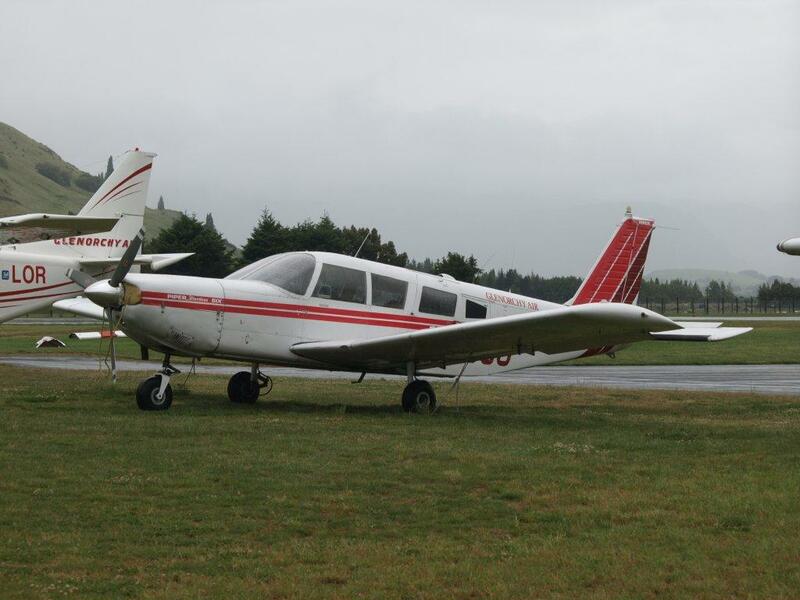 Piper Pa31-350 Chieftain (c/n 31-7405407), ZK-KIM, arrived in Masterton on the 15th of January 2002. 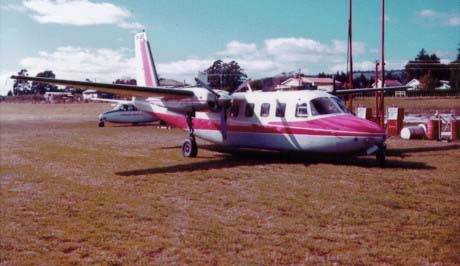 ZK-KIM had previously operated in New Zealand with Eagle Air as ZK-FIB. 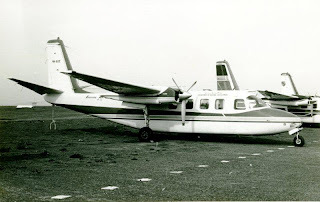 Guy Hingston envisaged eventually having two Chieftains and he told the Wairarapa Times Age that, “ideally we would like to end up making two flights to Auckland seven days a week, one flight to Christchurch seven days a week, and night freight flights.” The Chieftain was repainted and Civil Aviation Authority approval to start flights was sought. The company was officially launched by Wairarapa’s Member of Parliament, Georgina Beyer, on the 22nd of March 2002 with the company operating its scheduled Masterton-Auckland flights on Wednesdays, Fridays and Sundays. 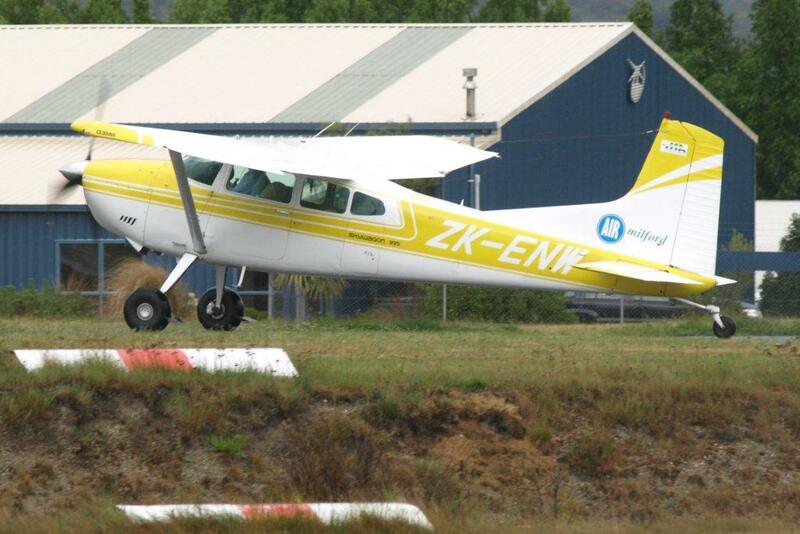 This Wednesday service came in the form of Air Wairarapa spreading its wings and taking on another name – Air Kapiti. The Chieftain was reregistered ZK-KAP and wore Air Wairarapa titles on one side and Air Kapiti titles on the other. 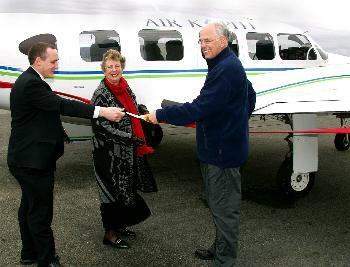 Masterton-Paraparaumu-Auckland flights started each Wednesday on the 26th of June 2002. NZ Aviation News reported that “the first scheduled flight on 19 June was cancelled as no passengers had booked a flight. 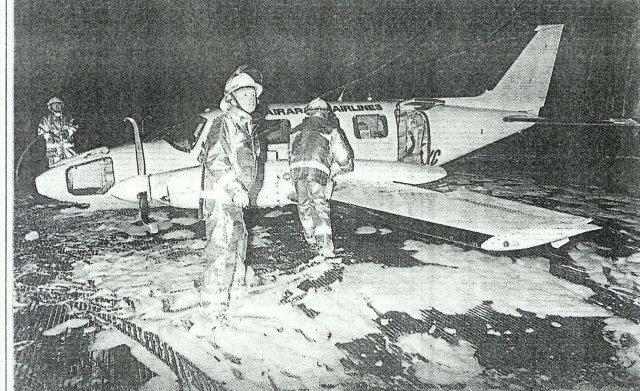 The flight on 26 June carried two passengers from Masterton and picked up a further two from Paraparaumu. 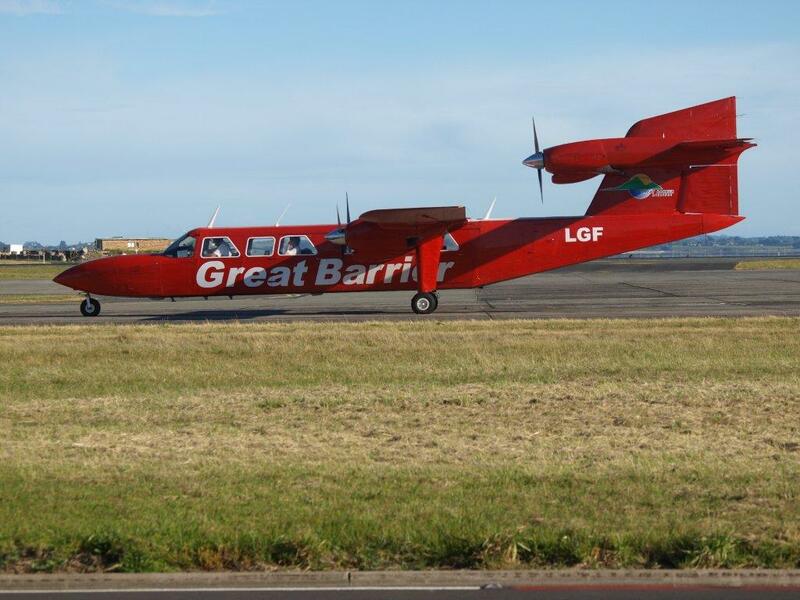 On the 22nd of July the company announced plans to increase flights between Wairarapa and Auckland via Paraparaumu to four days a week from September 9. This did not come to pass, as Air New Zealand, in the face of fierce competition, slashed its fares by up to 50%. 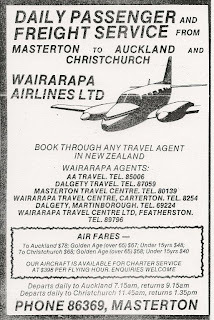 This put Air Wairarapa under the same pressure that had led to the demise of Wairarapa Airlines. Guy Hingston told the Wairarapa Times Age, “This new development by Air New Zealand poses a serious economic threat to the viability of a local scheduled airline. 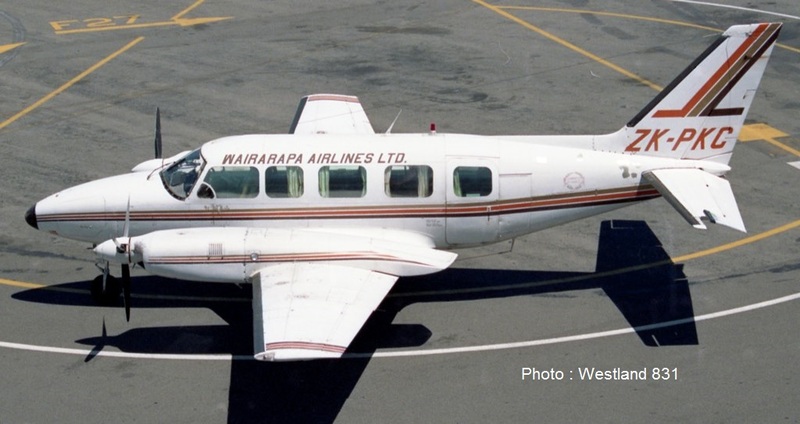 Air Wairarapa has no choice but to consider withdrawing its schedule service.” The final services were operated on 21 August 2002 from Masterton to Paraparaumu and Auckland in the morning before returning direct to Masterton that evening. 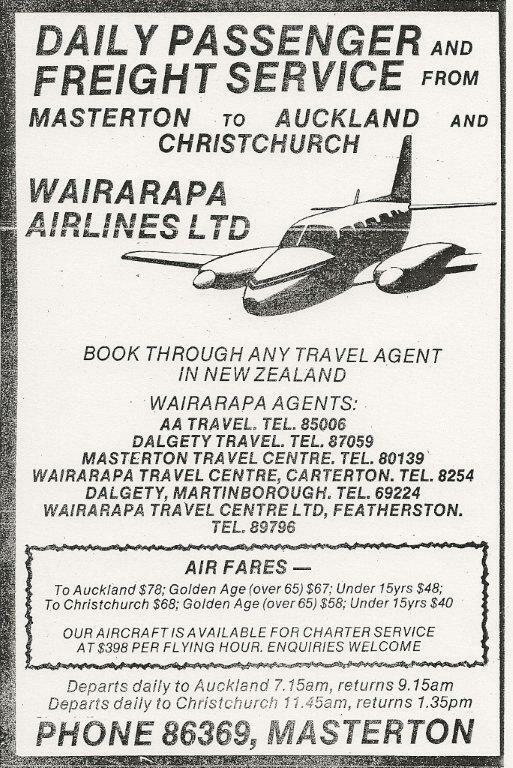 Air Wairarapa did stay in business for a time focussing on the charter market. 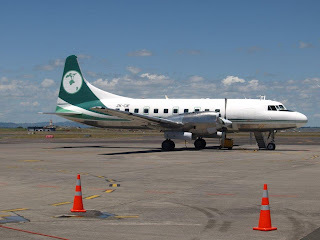 The company website did announce that Air Wairarapa hoped to start a regular Masterton-Wellington service but nothing came of this and the Chieftain was sold to Sunair in late June 2003. Qantas was also sporting a couple of interesting aircraft on the 7th of November 2010. 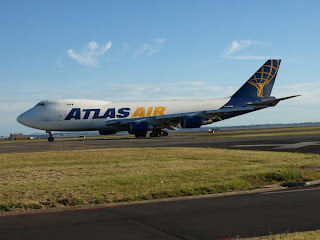 Atlas Air's Boeing 747-47UF/SCD was on the Qantas round the world freight flight while below Boeing 737-800, ZK-VH-VXB was sporting its distinctive artwork. 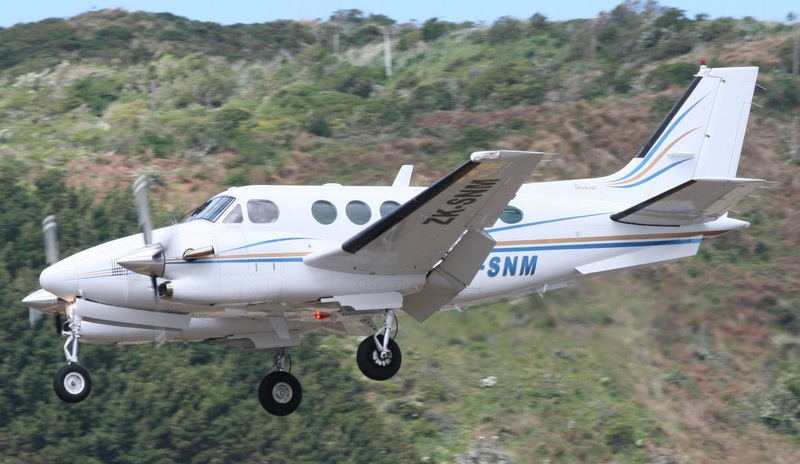 Air Wanganui, who operate medical transfers and charter flights from Wanganui across NZ, have been operating King Air C90 ZK-MKG alongside Piper PA31T Mojave ZK-WTH. The King Air ZK-MKG is on a planned period of maintenance while the Mojave is nearing completion of rework following a landing incident in May this year. To allow for ZK-MKG's removal from service, the operator has leased NZ's second King Air C90 ZK-SNM from nearby Air Manawatu for the duration as from early October. 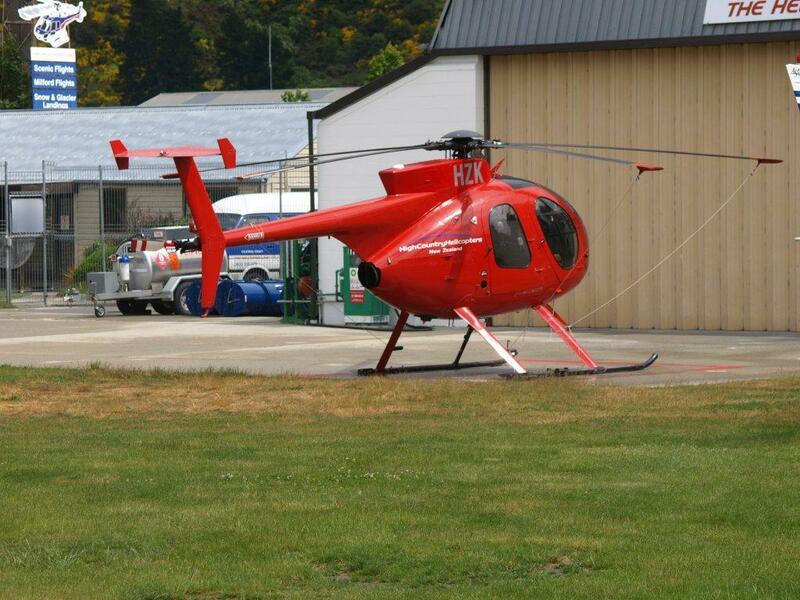 It is seen here arriving at Wellington on a medical transfer flight on 27Oct. Be it an urgent trip to Auckland for an international flight connection, a wide leisurely circuit of the huge Kaipara harbour coastline, or a trip to see Cape Reinga from the air - Kaipara has a little airline that can. Former Kaiwaka farmer, Murray Hargreaves, is the owner and operator of Go North Ltd, based on State Highway 12 just west of Maungaturoto, a flight operation that has grown from an agricultural role into an air charter business that can have accommodation added. 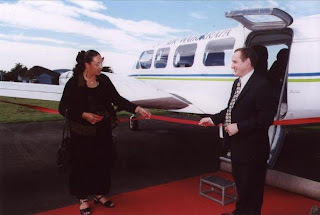 Murray and his wife Kathy, who grew up in Marahemo, also operate Wings Bed and Breakfast in conjunction with their flying activity, and can offer a bed, breakfast and flight package. Self-contained accommodation is provided on the 52-hectare property, with a meal service available. Overseas guests have arrived after a pickup at Auckland Airport to enjoy an airborne holiday in the north. 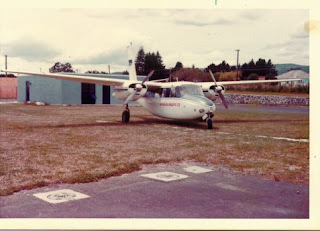 “I learnt to fly at the old Otamatea Aero Club field in Bickerstaff Road and went on to complete my commercial licences in Auckland,” said Murray. 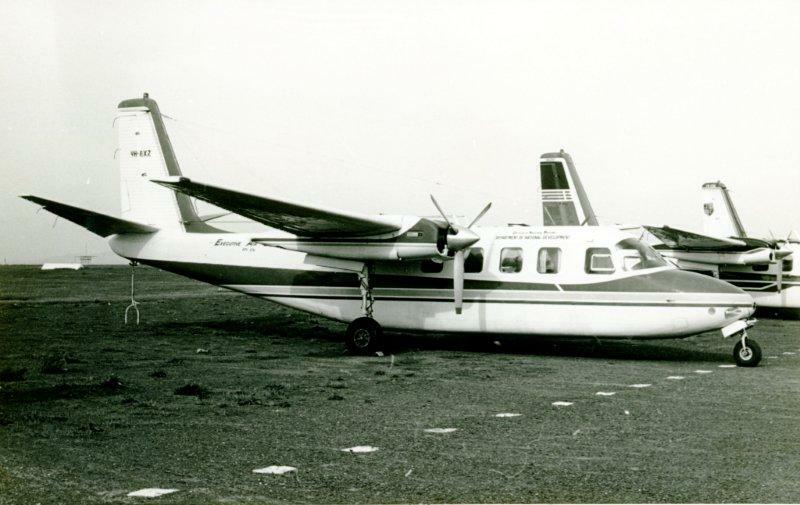 “I worked with James Aviation topdressing and spraying before going out on my own.” With capital borrowed against the beef cattle operation he runs on the property, Murray bought a Fletcher top dressing plane. “Then the price of beef went up, we paid off the loan a year early, and we are away,” he added.